Voi lo sapete, o mamma, a setting by Giovanni Targioni-Tozzetti and Guido Menasci, was composed by Pietro Mascagni in 1888 (E minor) and premiered in 1890. This aria is part of scene 4 of his opera, La Cavalleria rusticana. Premiered in 1890, La Cavalleria Rusticana was composed by Mascagni, aged 25, for a competition chaired by the publisher Sonzogno in 1888. He won the prize which consisted of having his opera of one act, La Cavalleria rusticana, staged in Rome at the cost of the publisher. The libretto, written by Giovanni Targioni-Tozzetti and Guido Menasci, is based on a short story by Giovanni Verga. As la Cavalleria Rusticana lasts only 70minutes, it is often performed alongside with Pagliacci, another verismo opera, written by Ruggero Leoncavallo. The opera opens on Turiddu serenading Lola behind the curtains. Villagers prepare to listen to mass and praise the beauty of life. Santuzza appears and heads to the shop of Mamma Lucia, the mother of Turiddu. She asks her is her son is there and she answers negatively. Their conversation is interrupted by the husband of Lola, Alfio, a carter who wants to buy some wine from Lucia’s shop. Lucia answers Turiddu has gone to buy some. They are interrupted by the beginning of the Easter religious celebrations and all head into the church except Lucia and Santuzza. Santuzza is tormented by the acknowledgement that Lola has started an adulterous affair with Turiddu. Lola had been engaged to him, but married Alfio while Turriddu was at war. When the soldier returned and discovered her betrayal, he seduced Santuzza to drive Lola crazy with jealousy. Santuzza expresses all her tourments to Lucia in her aria: Voi lo sapete, o mamma. 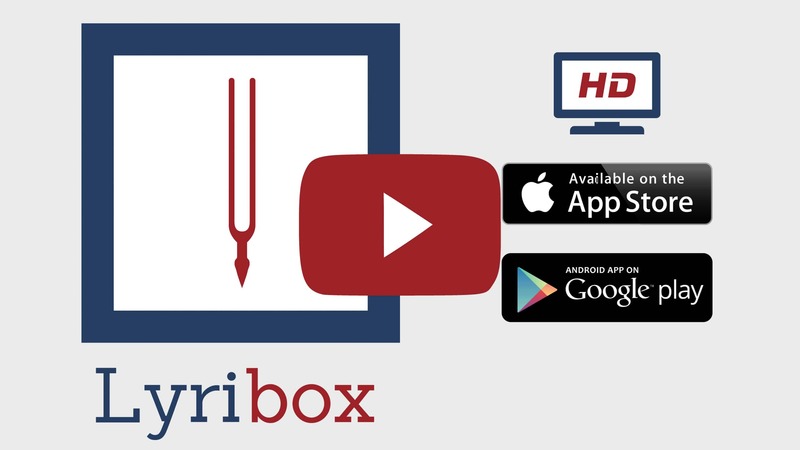 Lyribox, the popular online platform for classical sheet music, accompaniment and ipa translations brings the best by P. Mascagni by offering the sheet music, accompaniments and translations to the fans gathered around the site, for the best price that could be found online. The sheet music, accompaniments and translations provided by Lyribox for are of highest quality and accuracy. Voi lo sapete, o mamma originated was composed by Pietro Mascagni. The original lyrics are in Italian. The melodious note arrangement of Voi lo sapete, o mamma ranges from pianissimo (very soft) mellow notes to forte (loud) notes carrying the player and the audience through an array of vivid emotions. The sweet soft beginning of the music piece gradually increases and decreases the loudness in smooth transitions. This music piece is decorated with phrases, slurs and an arpeggio. A perfect composition for piano players to try with an intermediate knowledge in music. Students can make use of this sweet music piece to improve their knowledge in music expressions, ornaments and sight-reading, while all music lovers could enjoy this brilliant extract whole-heartedly. Voi lo sapete, o mamma sheet music produced by Lyribox is clear, precise and is transcribed in English by Lyribox. By purchasing Voi lo sapete, o mamma sheet music from us, you can simply sing along as you play this masterpiece on your piano. Unlike many sheet music sold online with all black notations, sheet music we offer you is marked using three distinct colors. While piano notation is illustrated in black, the music expressions and the lyrics are given in red and blue respectively. Get Voi lo sapete, o mamma by P. Mascagni sheet music from Lyribox today to enjoy and share this wonderful music composition with your friends and family. Voi lo sapete, o mamma piano accompaniment is offered by Lyribox is mellow and smooth. It feeds the poem an underlying pulse, adding a sense of propulsion to it. Meanwhile the vocal line flows in a dreamy leisure manner forcing the audience into a calming and languid mood. The vocal line of Voi lo sapete, o mamma by Lyribox has the potential to provide slight pitch support for the voice’s sometimes unusual intervals, enhancing the fullness of it. This accompaniment is not at all demanding. Using these rich Voi lo sapete, o mamma accompaniments you could create one of the most brilliant performances that is pregnant with layers and layers of expressions. Purchase the Voi lo sapete, o mamma piano accompaniment together with the vocal line accompaniment from Lyribox today!